LOCATION: Heredia-Centro - 75 meters Este de puerta principal del ICE in Heredia on Avenida 1 between Calle 5 y 7 (between ICE and the University). AUTHENTIC INDIAN, MEDITERRANEAN, MIDDLE EASTERN & VEGETARIAN cuisine including Lassis, Jal Jeera, Kanji, Chai Masala, Samosas, Pakoras, Parathas, Saag Paneer, Chana Masala, Baingan ka Bharta, Tzatziki, Chicken Tikka Masala, Chicken Curry, Saag Chicken, Homemade Falafel, Hummus, Baba Ganoush, LAMB Shish Kebabs, Gulab Jamun, Kheer, Kulfi, SHWARMAS (1,750), 13 different Pita sandwhich, LOTS of different Indian drinks. Homemade BAKALVA. I can't wait to try their Thali's which are combos of a few things for just 5,900-c. Their Non-Vegetarian Thali has Chicken Tikka Masala, Keema Matar, Dal, Raita, Mango Chutney, Basmati Rice and Naan or Pita bread. 5900-vegetarian. Their Mediterranean Thali of 3 pieces falafel, 3 shish kababs, hummus, tzasiki, tabula, pita bread – 7,900-c. Their Vegetarian Thali is just 5,900-c. This is a GREAT place for VEGETARIANS including VEGETARIAN BURGER topped with spinach (2400-3500-c). Robbie said it’s a really nice space, there is garden seating for 40 out back and a large upstairs that would be great for a special event. PRICES: Range from 1400-7900-c (averaging about 3,000-c). They also sell some of their BASMATI RICE, SPICES like homemade GARA MASALA, Cardomon seeds and ground, and YOGURT, CHICKPEA FLOUR+. LARGE RESTAURANT (40 in garden). NEW RESTAURANT ’08. No bar. CREDIT CARDS (all). CATERING. WIFI. HOURS: Mon.-Thurs. 11am-8:30pm, Fri. & Sat. 11am-9:30pm-ish, Sun. 11:30am-8:30pm. OWNERS: Say “Hola” from Vicki to Indian Sunny & his CR wife Nohemy Neil. 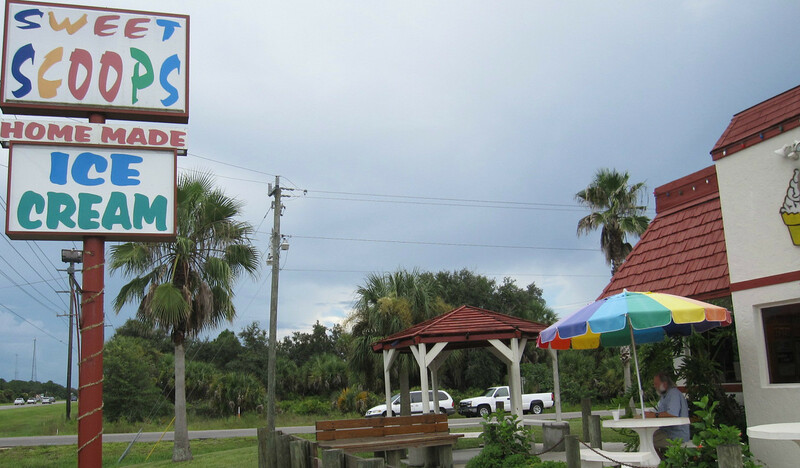 I (NOT my body) REALLY like Ice Cream - especially flavors with some sort of crunchy thing in them (I used to drive 30 minutes from Sarasota to Port Charlotte, Florida to Sweet Scoops for THE BEST Homemade Peppermint Stick ice cream I've EVER had!!!) - or more natural stuff. 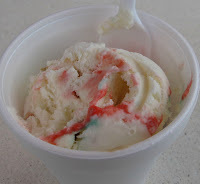 If you LOVE ice cream and especially if you are an Ice Cream Snob/Conneseuer - you might want to think twice about moving to Costa Rica. When I first moved to Costa Rica, July '05, the only option I had was the basic/plain Tico ice creams (much of it, being more "sensitive", I can taste the chemicals). Being in a country where one of the BIGGEST "GIFTS" of being here is to teach you how to Go-With-The-Flow - or make your self crazy - and being one that finds the positive in most things - I looked at it as this was just a way to loose a few pounds!! But I was REALLY REALLY CRAVING my Ice Cream - ESPECIALLY BEN and JERRY'S!!!! Feb. 2008 was the first time I discovered BEN and JERRY'S ICE CREAM - at AutoMercado in Escazu (San Rafael - Plaza Atlantis)!!!! There - in the ice cream / helado section was . . . . Chunky Monkey, Cherry's Garcia and a few others!!! So what's a girl to do???? Work with what we have!! So when I'm craving Chunky Monkey and don't have/want to put the $$ out, I 1/2 freeze or 1/2 thaw a bunch of bananas and I just put it in my Magic Bullet (mini-blender) and in seconds - I have what is all creamy like dairy - but you've added NOTHING else to it!!! Sometimes I'll fold in toasted walnuts and chunks of chocolate into it. SOOOOOO EASY, MEGA cheap dessert, and - HEALTHY/good for you!! For a faster version of TicoIzed "Chunky Monkey", just mush down/blend the bananas and add it to softened vanilla ice cream (since I have a dairy intolerance, I use Delactamy vanilla "ice cream" [though it's NOT FULLY lactose-free I've been told]). My other FAV ice cream is Cookie Dough and we USED to be able to get Pillsbury Slice and Bake chocolate chip cookie dough but not any more, so if you're craving it, just make up a batch of chocolate cookies (UNcooked [MY FAV way to eat them!!]) and fold it into Vanilla ice cream! including Oxygen Tanks and MORE!! TRES RIOS - Praxair (216-6060) - Samradis speaks English. PLEASE LET ME KNOW WHO YOU ARE!! I LOVE comments, feedback and even more - MORE THINGS TO ADD/CHANGE - BUT, when you put it under "Comments" - I don't get to see who you are/your email address so I can not respond to you or THANK YOU!! WHERE TO FIND EARTH FRIENDLY PRODUCTS in Costa Rica!! I JUST returned from my neighborhood Mas x Menos Market and as usual, when I said "sin bolsa por favor" and I explained it was to help the environment (doing my part in walking more gently on this earth!) and pointed to my handy dandy BIG backpack and HUGE Mexican bag, she looked at me with a combination of confusion and like I was crazy - BUT, then she gave me a BIG SMILE and she PROUDLY showed me their new "PLASTIC" BAGS that are 100% BIODEGRADABLE (by http://EcoGreenProducts.com)!!!!! Reading their website, it seems that Ecogreen Products are made of corn and they are biodegradable, NON-genetically modified and certified compostable!! They claim that most bags as we know them are Petroleum-based plastic and have a raw material cycle time of 150 MILLION YEARS while Ecogreen Products decompose in LESS than 150 DAYS!!!! I am a HAPPY GIRL!!! (though I will still bring my own BIG Mexican bags when I do my marketing!!). When they first pulled out a bag they did NOT offer me the WONDERFUL NEW bags so you may have to ask for them!! I am not sure if they have these also at HiperMas, Perimercado and their other stores. Do you know/can you check and report back to us? One gentler step at a time!!! This is a friend of mine in Costa Rica - Fick Bryant - that does FUN (or romantic) poems for ALL occasions PLUS he has a cute modern day Night Before Christmas book (http://Rhymes4AllTimes.com/books.html)!! A GREAT personalized gift idea!! I was at a benefit the other night with him & he whipped up a Good luck / Going Away poem at the top of his head!!! Give your Valentine the special and unique gift of their very own poem. All I need is the information that you would like to relay to them. 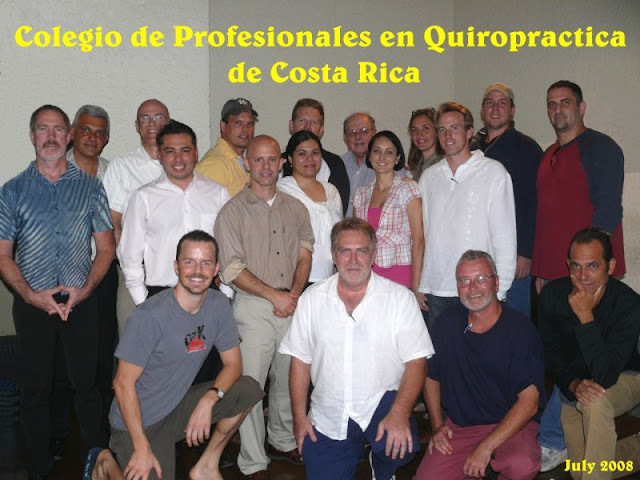 DISCLAIMER: There are only 20 chiropractors within CR who's credentials have been certified by Conare, the University of Costa Rica, and the board of directors of the Chiropractic Association of Costa Rica and are the only people authorized by the government of Costa Rica to practice within its borders. They’re the ONLY members of the new Colegio de Profesionales en Quiropractica de Costa Rica (facebook.com/pages/Colegio-de-Quiropracticos-CR/569808616478612 • pbase.com/trescott/colegio / 2-443-3276 / ColegioQuiropracticosCR@hotmail.com). With that said, I'm just sharin' info on people others have shared with me and/or I have been to. I am NOT RECOMMENDING ANYONE!!! What you do with this info is YOUR choice!! For MY (Vicki/the Sarong Goddess') body, a chiropractor that mainly just cracks me and I'm out in less than 20 or so (IN the office [not including waiting]) does NOT work!! My body needs careful handling!! MOST IMPORTANTLY (this being with a chiropractor or ANY doctor) - I want someone that takes TIME with me. First work on relaxing my tight muscles (that have formed to being in a sitting over the computer for 15-20 hours a day position) and do some physical therapy actions BEFORE jumping on me and crackin' my bones - hence potentially causing serious pain or worse - doing damage to me (which HAS happened). (I’ve been going to chiropractors on and off for over 25 years including some top notch ones in San Francisco and San Diego. My SF chiro used to make me get a massage or sit in a jacuzzi before he’d do me since I was so tight [I got them for free so it wasn’t that he was making more $ out of me. Ahhhh life working in advertising!!]). I'd known of Dr. Ravery for many years from MANY friends/people I'd met that had been going to him, but my first experience with him wasn't till July of '07 when I dislocated my humerous and clavicle (from a fall where I landed on my elbow and dislocated it). He is even skilled to work on children! EVERY time I've seen Dr. Ravery, I have felt a noticable difference and he did a GREAT job on me and most of the people I've shared his information with!! Of course it's up to ME to continue the treatments/therapy as it's been because of MY laziness/unconscousness, that's created the improperly formed muscles to do what they're doing over time and that CAN NOT change overnight (unless I set up some sort of contraption on my desk chair to sit me up properly!! Of course, have I practiced what I preach here - NOT!!]). Dr. Shahin Ravery usually spends on average at LEAST 45 minutes with his patients (how many other chiropractors you've been to in Costa Rica spend that kind of time or have those types of tools? How many simply crack you and you're outta there [which I've heard often happens from MANY patients]. Hey - if that works for your body and you're making GOOD noticeable progress - FANTASTIC!!! If not, perhaps it's time to try another option!!!!). INVESTMENT IN YOUR BODY/HEALING: First visit 18,000-c, thereafter 14,000. LOCATION: SAN JOSE - Paseo Colon - NEW location - At the Toyota dealership that's on Paseo Colon - turn Left and go 50 meters North and then turn Right and go 25 meters East and it's on your Left. Look for the sign. LOCATION: About a mile from the airport. 400 meters East of McDonalds Tropicana. LANGUAGE: Yolanda speaks perfect English and is married to a Gringo. Both are U.S. trained (Alejandra Life University and Sashe - Logan College), Palmer Method. They have Physical Therapists in both offices. HOURS: ATENAS - Tues. 9am-12/noon and 3-6pm. Thurs. 9am-12/noon and 2:30-6:30pm. Every other Saturday 9am-12/noon. SAN JOSE - Mon. 9am-1pm and 2:30-6:30pm. Wed. 9am-1pm and 2:30-6:30pm. Fri. 9am-2pm. LOCATION: Atenas Centro - I have 2 addresses - on their brochure it says Diagonal to the Registro Civil but I also have - 50 metros norte de Importadora Monge (it could be the same thing). He practices chiropractic and naturopathic medicine (specializing in helping people with Migraines, Scoliosis, Allergies, Chronic Fatigue Syndrome, Fibromyalgia, Sciatica, Narcolepsy, and others) along with these major disciplines he is board certified in physical therapy and rehabilitation and nutritional internal medicine, herbalist, injectable nutrients and exercise. 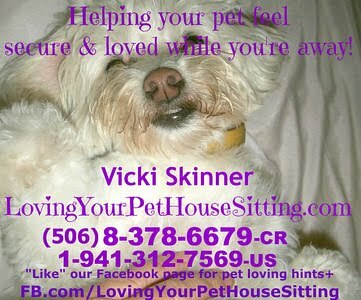 He is very compliant in co-working with other practitioners who are treating you. TRAINING: Dr. Brown has received licenses to practice Chiropractic in the states of Colorado, Illinois, New Mexico, and Ohio. He has been in continual private practice since 1981 and continuing education in the fields of Nutrition, Enzyme Therapy, Micro-Current Therapy, Myofacial Technique, Energy Therapy, Homeopathy, Applied Kinesiology, Neural Organization Technique, Laser Therapy, Colon Therapy, Iridology, Allergy Elimination, and Naturopathy. HOURS: Sat. 10am-7pm by appointment. Dianne Rowley-Jennings - It's sad to report that Dianne made her transition this year. Blessings to her Spirit!! Let’s just leave it as he’s not one of the officially licensed ones. Dianne Rowley-Jennings - It's sad to report that Dianne made her transition a couple years ago. Blessings to her Spirit!! LOCATION: 1km West of Hipermas en Heredia carretera principal hacia Alajuela. LOCATION: Moravia is next to Guadalupe), "de La Rueda (a tourist shop with 2 huge painted wooden toucans perched on the roof) 50M norte, mano izquierda"-LEFT. David specializes in Chinese medicine, Acupuncture, traditional Chiropractic moves. He was educated in Taiwan. He only speaks Spanish and Manderin but his receptionist Ijon can help translate. Dr. Robert Henderson - Pérez Zeledón • 2-770-4206. Alex speaks GOOD English and does Chiropractic moves (he was VERY successful on my tough body!! ), Electro Therapy and Homeopathy (only in his Ciudad Colon location) and also knows a LOT about herbs, diet, the body, etc. Tell him Vicki sent you. In case of emergency he can see you 24/7 (of course for a much higher fee depending on time, distance, etc.). Also in Cuidad Colon and comes to you. He’s also a certified acupuncturist. English/Spanish. LOCATION: near the Subaru Dealer. I hear he’s one of the big chiropractors - working with athletes, etc. hence too busy. I called him (on a Thurs.) telling him I had fallen and had dislocated my arm and the soonest they would see me was the following Tues. (all the other chiropractors I’ve ever seen will take anyone one in with an emergency - especially such a big one!). LOCATION: De la Entrada Principal del Hospital Calderon Guardia 100 mts. Norte. 50 al Oeste. Calles 15 – 17, Avenida 11. Palmer method. U.S. trained. He incorporates Iridology into the exam (free) and has an Activator and can help with Cleanses and nutritional information. They come to you. Marcella does Chiropractic work along with massage (Olman does massage) and she has REALLY STRONG hands (to the point the person that told me about her said she adjusted something in him that had been blocked for awhile). Theraputic, relaxing, Shiatsu (marcella), rolfing/deep tissue (marcella), lymphatic (olman), bioenergetic, Marcella was trained in Germany. English and Spanish. Olman is also a tour guide so he’s in and out a lot. Both speak good English and Spanish. PRICE: Costa Ricans - $30/hour plus $7 gas. Foreigners - $50/hour plus $7 gas. Has this listing helped you/your body/your business?